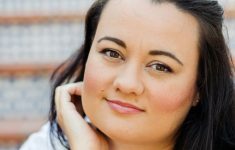 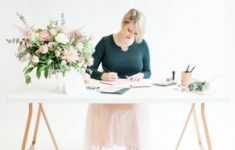 Did you know that they include a full design review and professional proofreading and retouching service in every order! 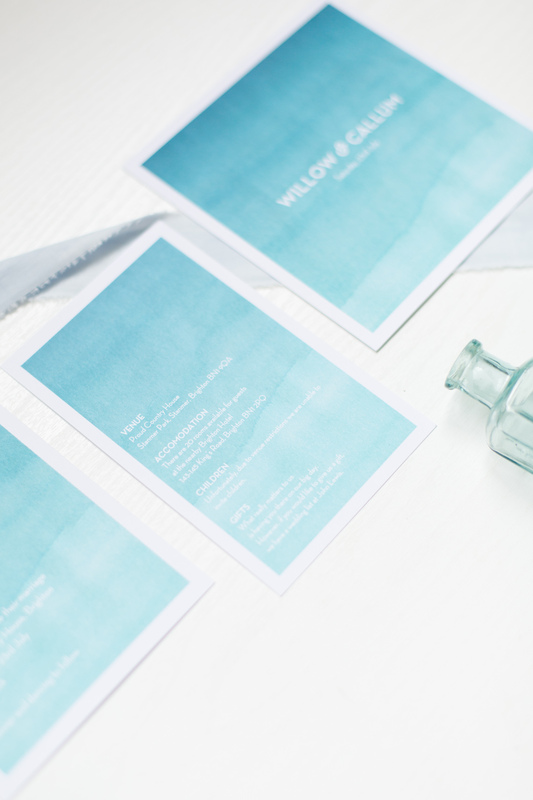 The Rosemood proofreaders make certain that there are absolutely no typos or spelling errors and their graphic designers ensure that each card is well balanced and harmonious. 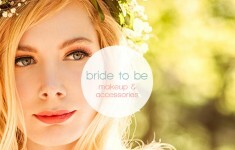 They will even retouch all photos to make sure they are optimised for printing. 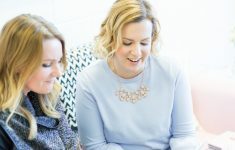 They work super hard to ensure that complete satisfaction is guaranteed and if even the smallest error manages to sneak by them, they will make sure to fix it straight away! 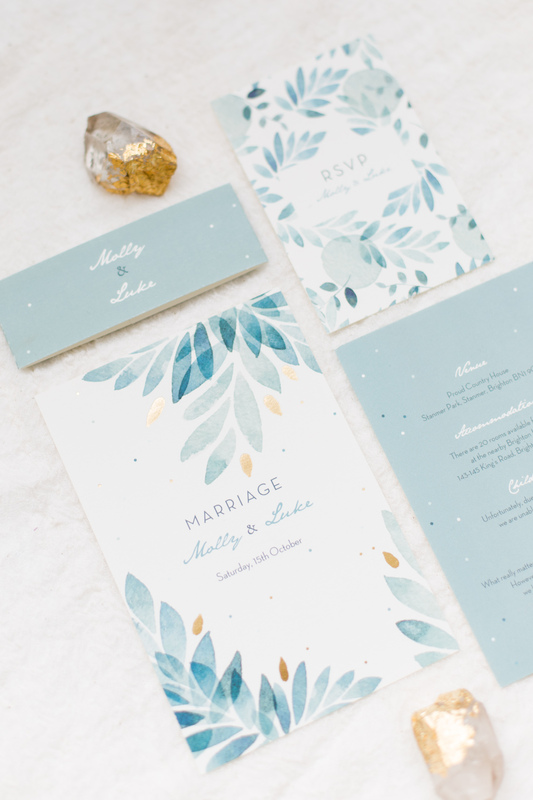 The Summer Night Stationery Suite is available with gold, silver or copper foil. 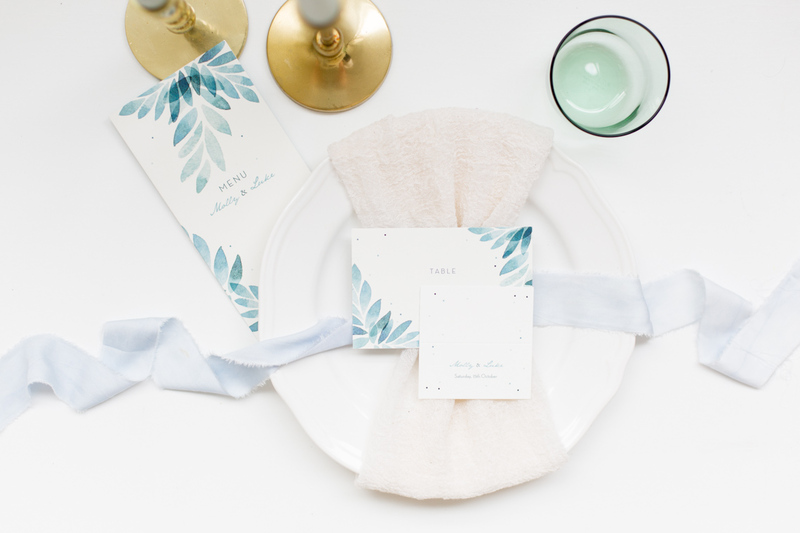 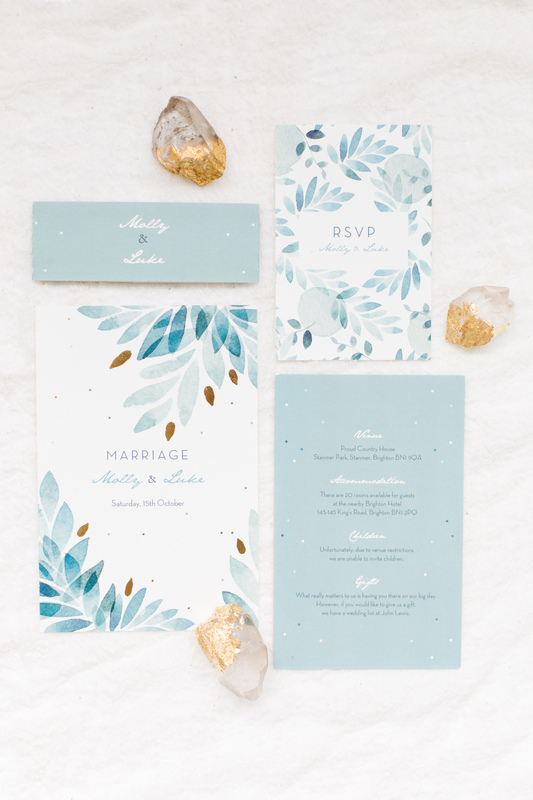 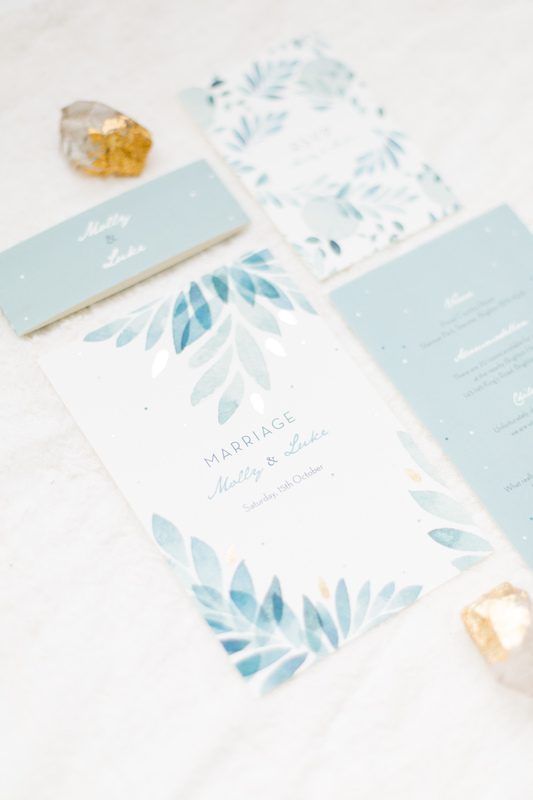 Designed by My Lovely Thing, the front of these beautiful wedding invitations features delicate blue watercolour leaves and polka dots in various shades of blue scattered throughout the page. 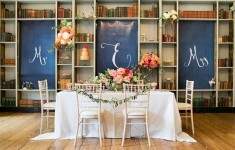 I love this design for Summer weddings and it has a modern edge. 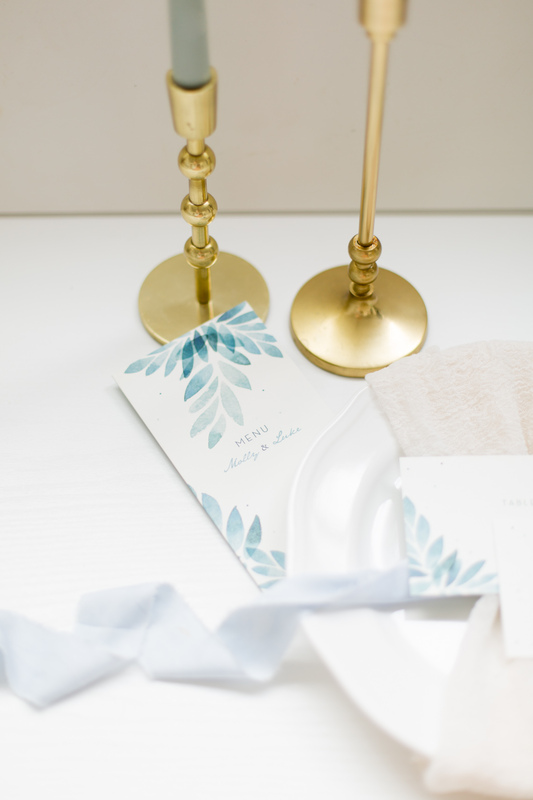 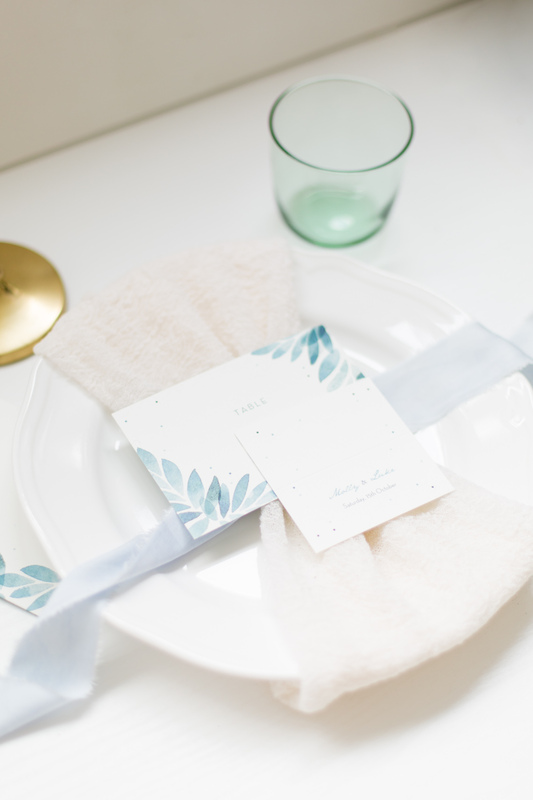 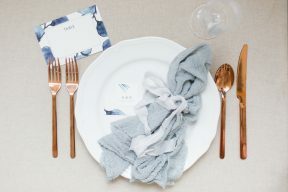 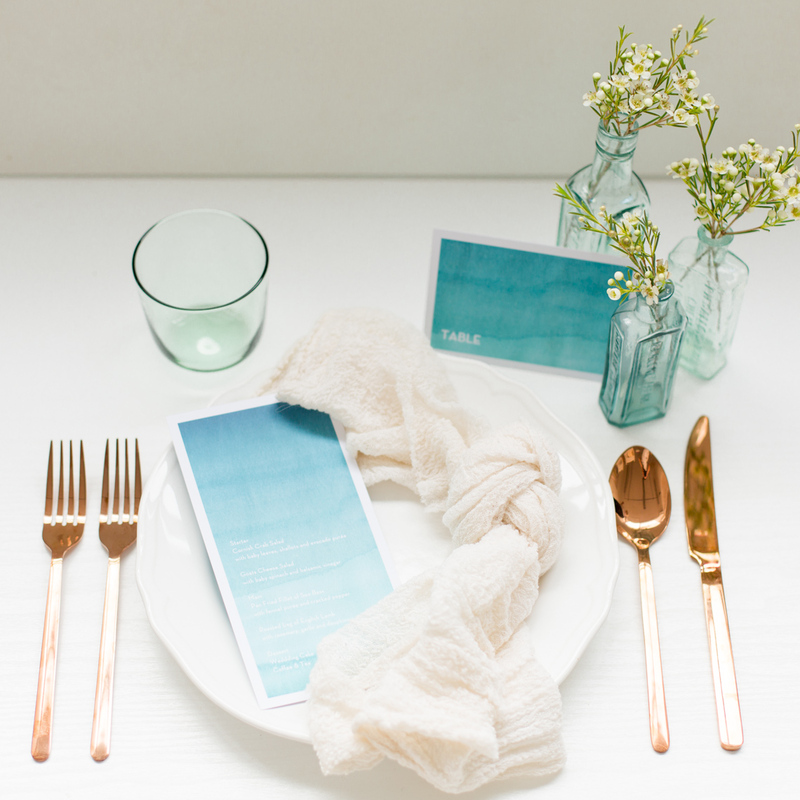 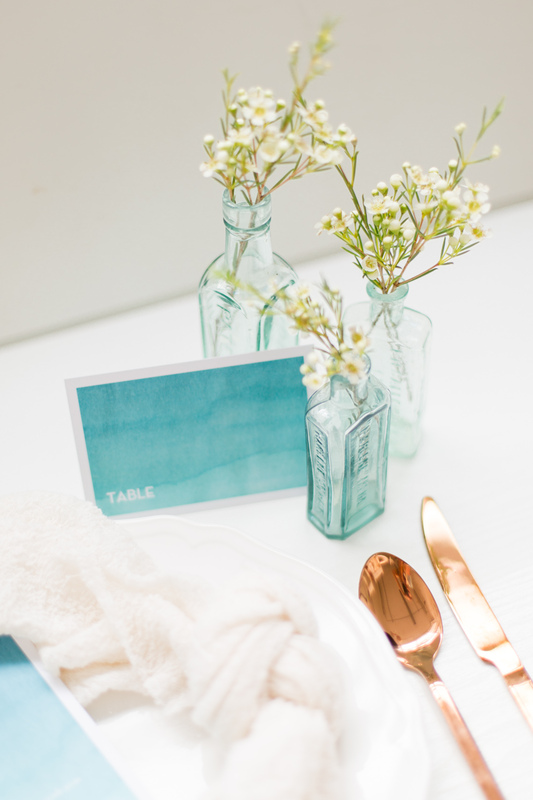 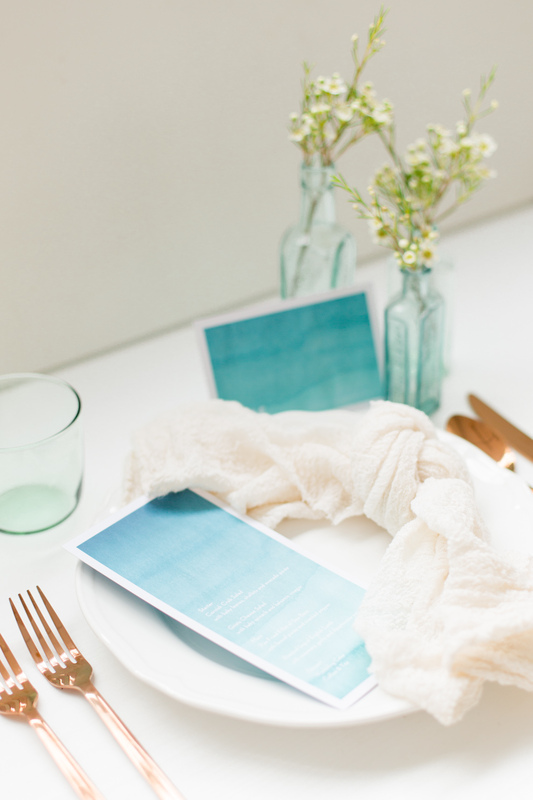 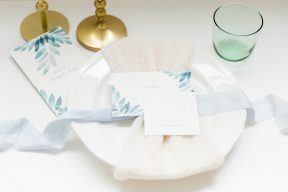 The complimenting pieces include the beautiful menu, save the date cards and even thank you cards. 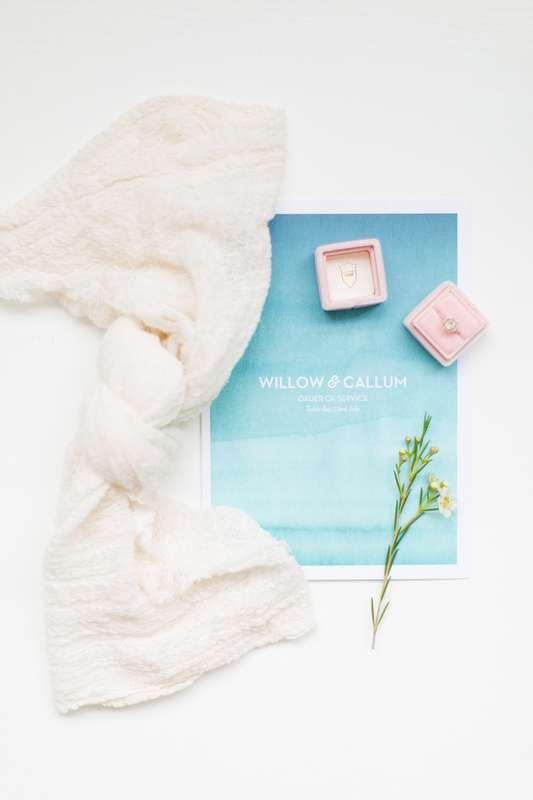 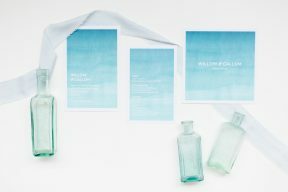 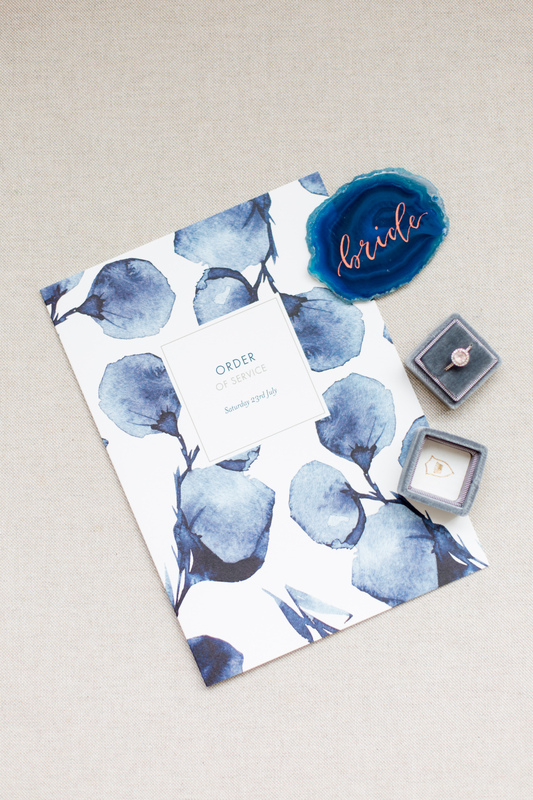 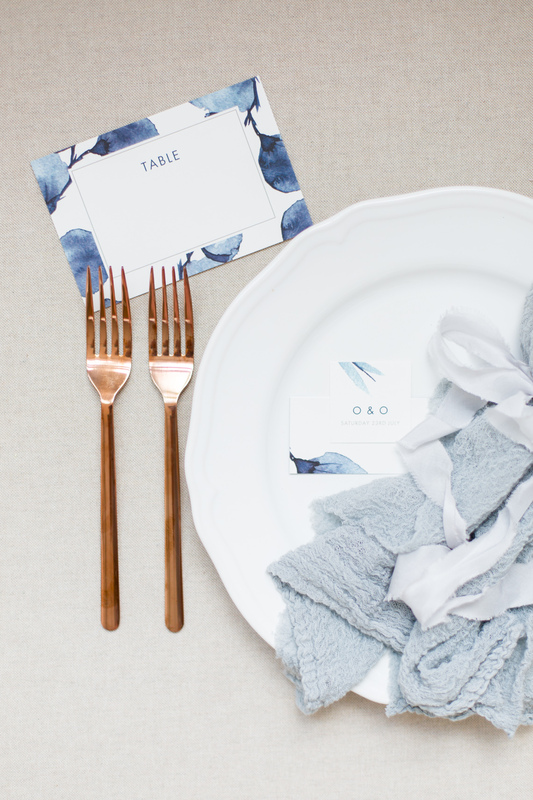 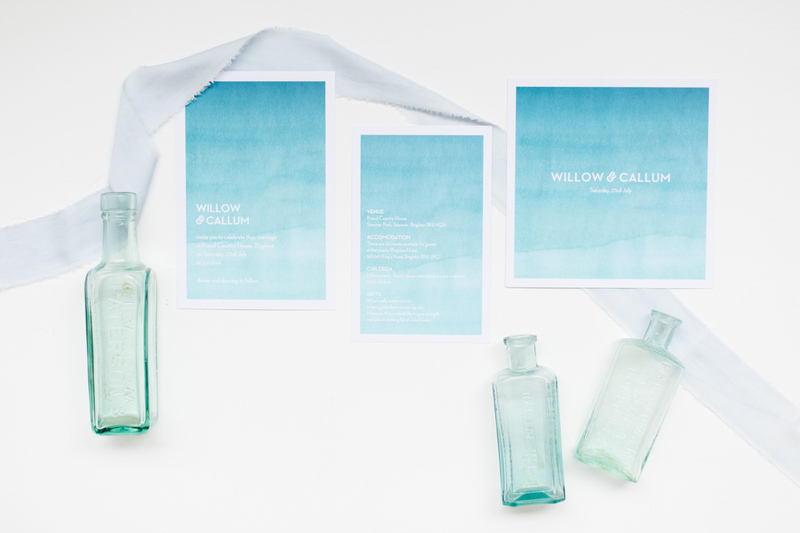 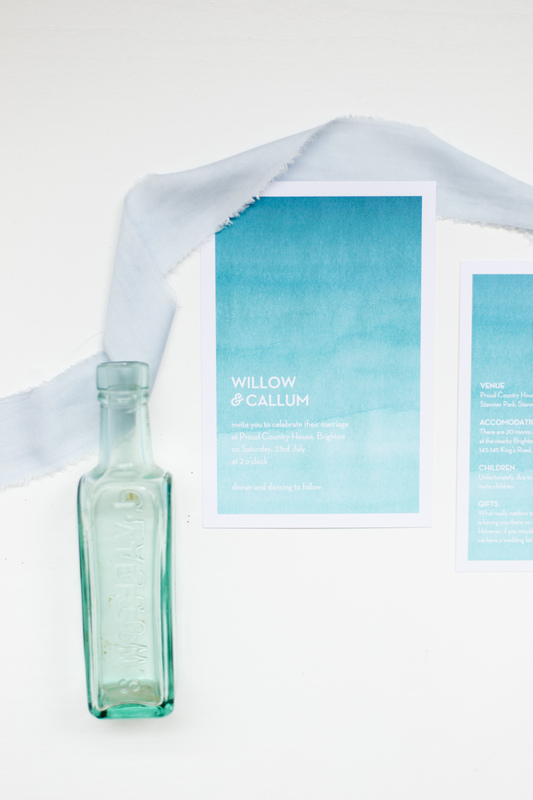 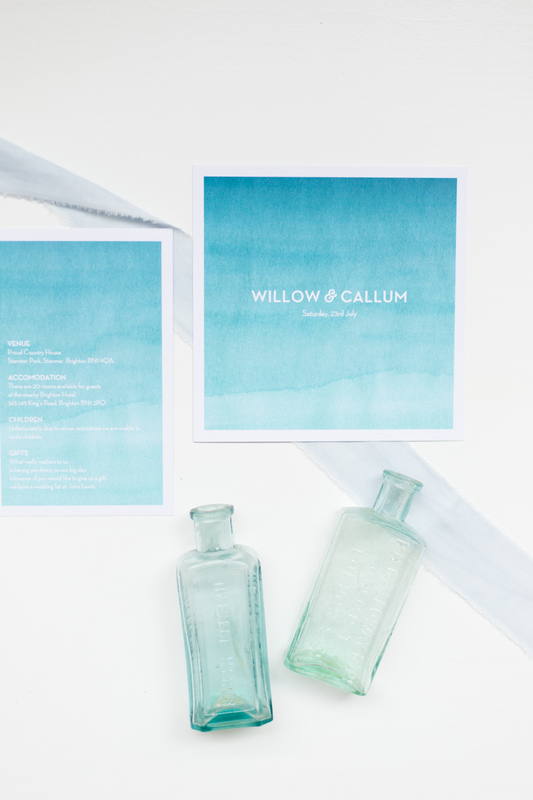 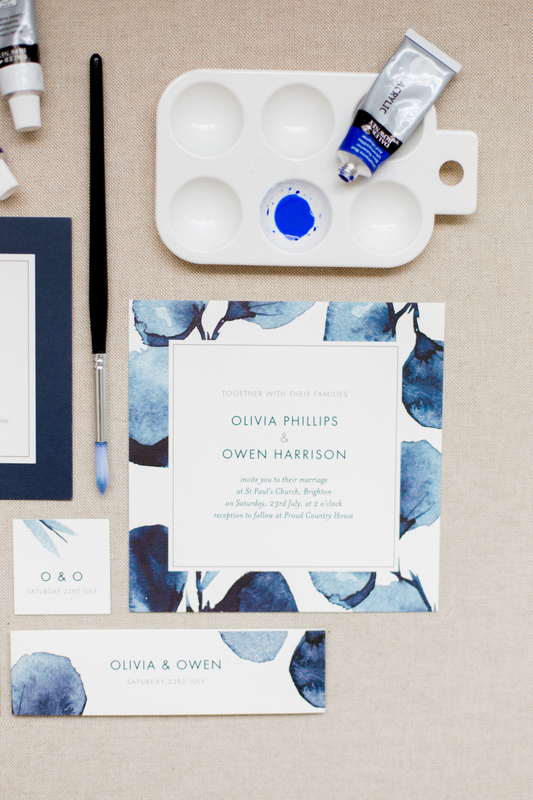 This dreamy Watercolour Stationery Suite is perfect for destination wedding colours! 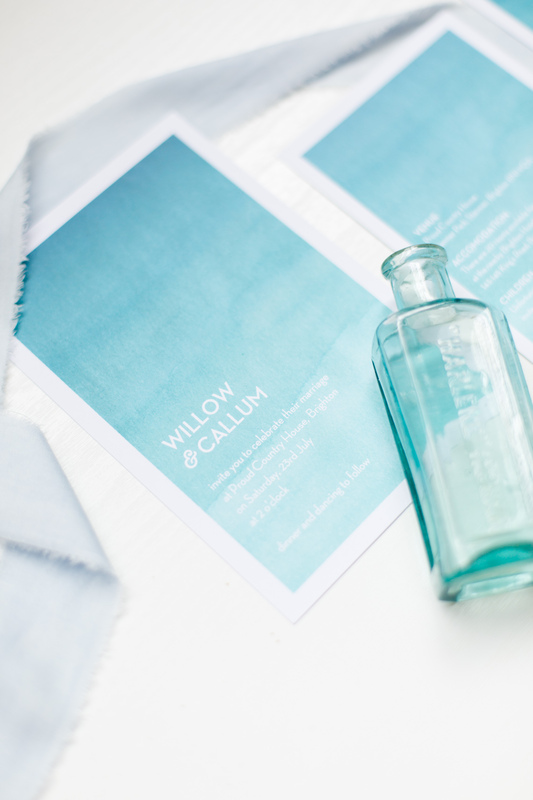 Available in three different colours – orange, yellow or turquoise, the turquoise blue watercolour effect instantly has us dreaming of Mediterranean crystal blue waters or the island of Santorini! 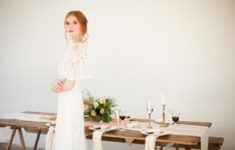 It’s modern look lends itself to the fashionable minimalist wedding style we’re loving right now, or something more boho! 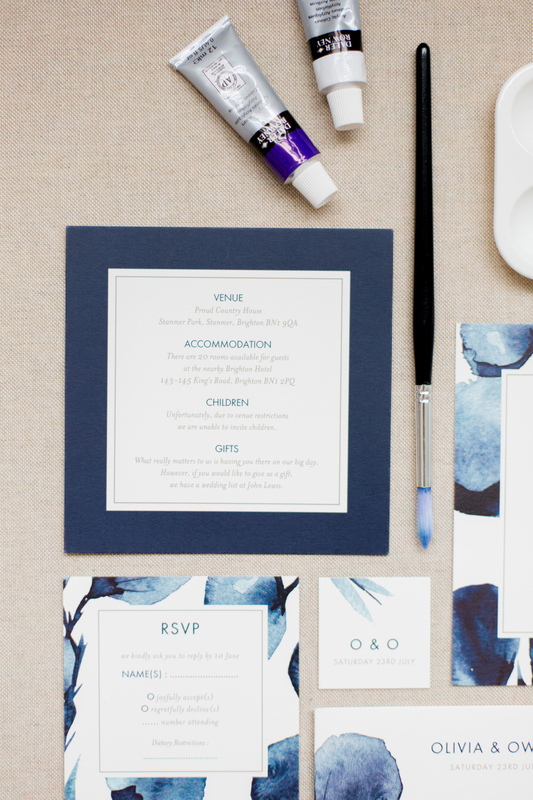 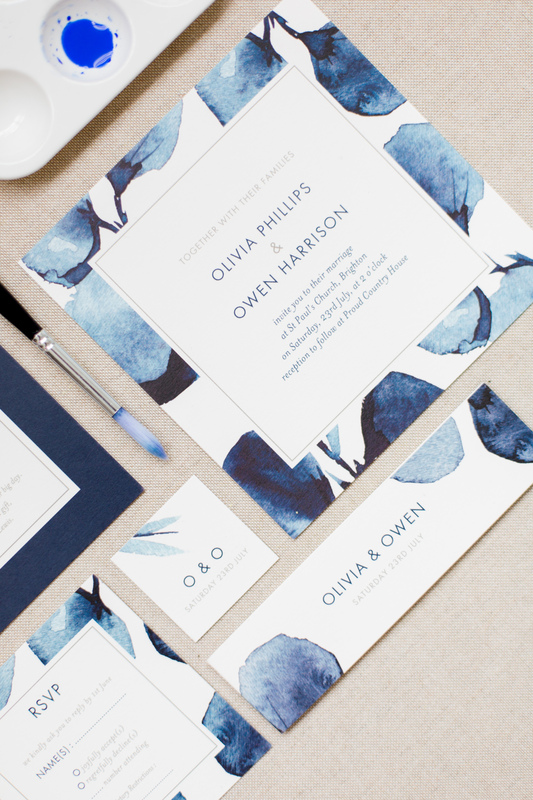 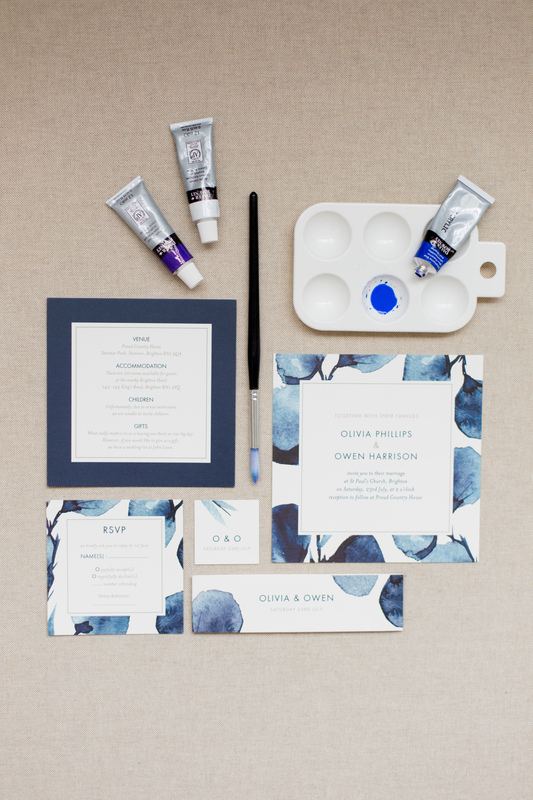 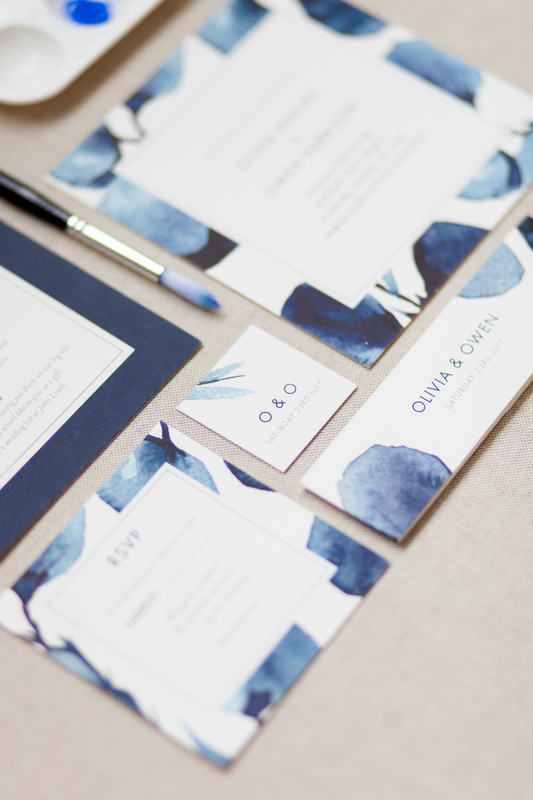 The Deep Floral Stationery Suite is an elegant design with watercolour florals in rich navy and crisp white. Designed by New York-based designer Petite Alma, this modern suite looks fab with a more rustic style wedding and paired with kraft paper envelopes – or create a completely sophisticated style keeping with crisp white envelopes. 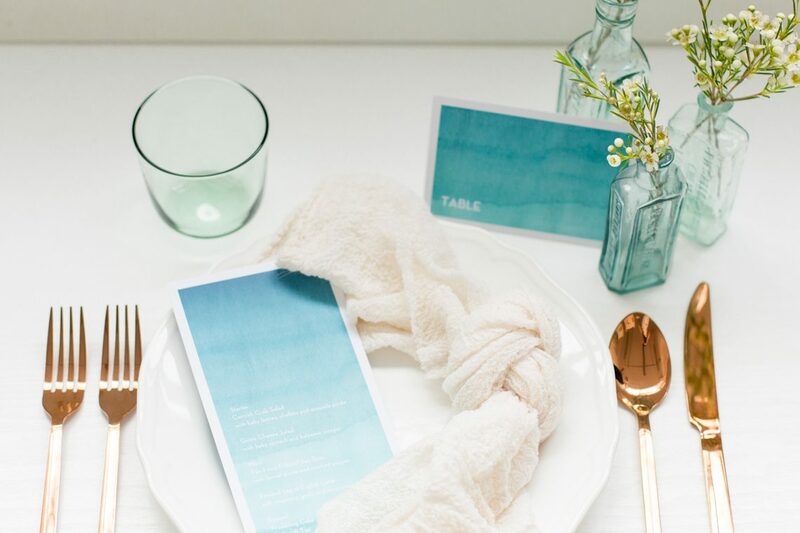 The menu design looks amazing set within a white and gold table too! 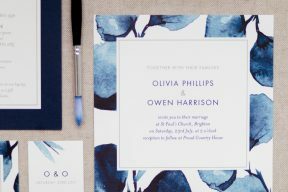 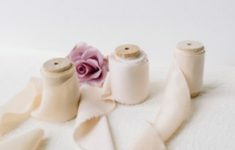 If you’re planning your wedding, pop on over to rosemood.co.uk to check out their array of designs and you can of course enter the amazing giveaway we’re sharing on instagram this week. 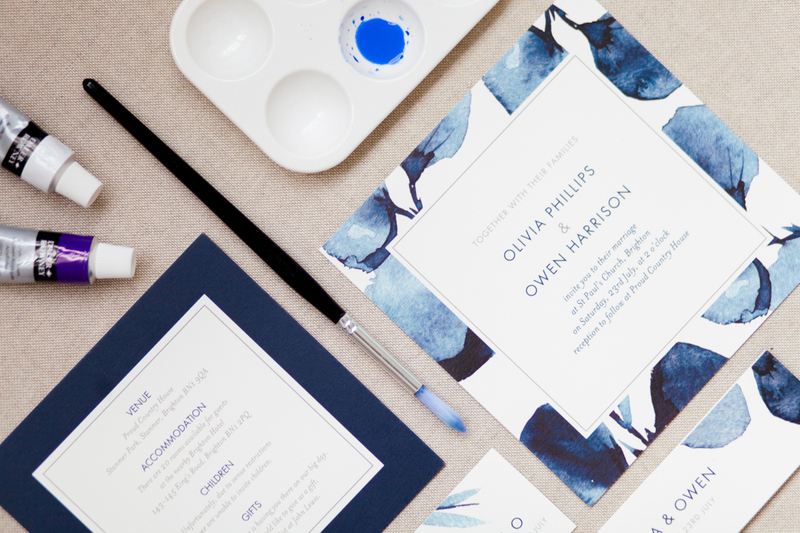 It’s super easy to enter too – here are the details and good luck Lovelies! 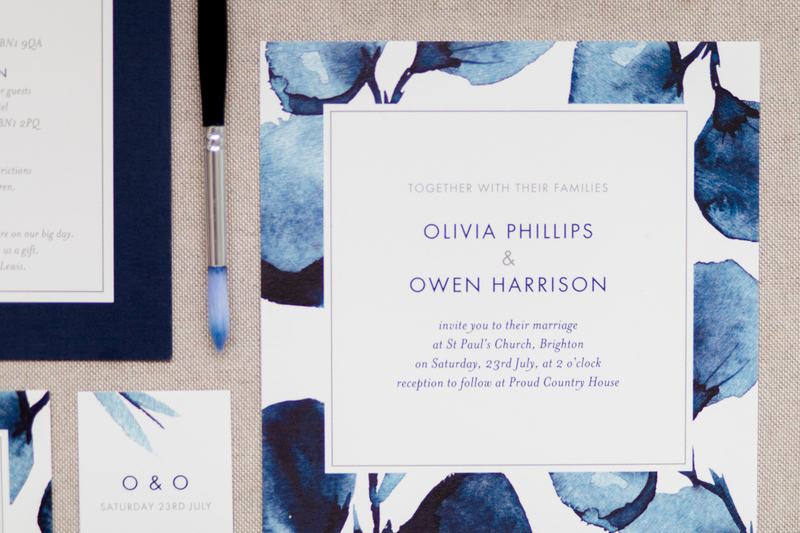 TO ENTER – Follow Rosemood’s instagram account here and comment with your favourite wedding invitation design! 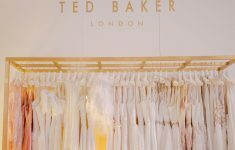 The lucky winner will be chosen next week on the 14th August at 10am + sent a personalised code that will be active for 1 year.